Crooked pendulum clearance. These are drilled slightly crooked, but still useful as a key chain charm, pet charm, or pendant. 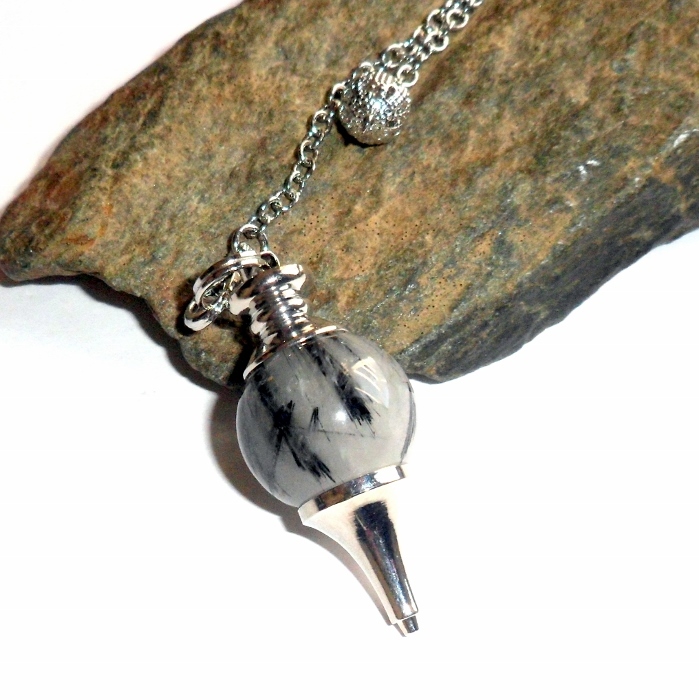 Tourmalinated quartz gemstone Sephoroton pendulum set on a silver plated chain. 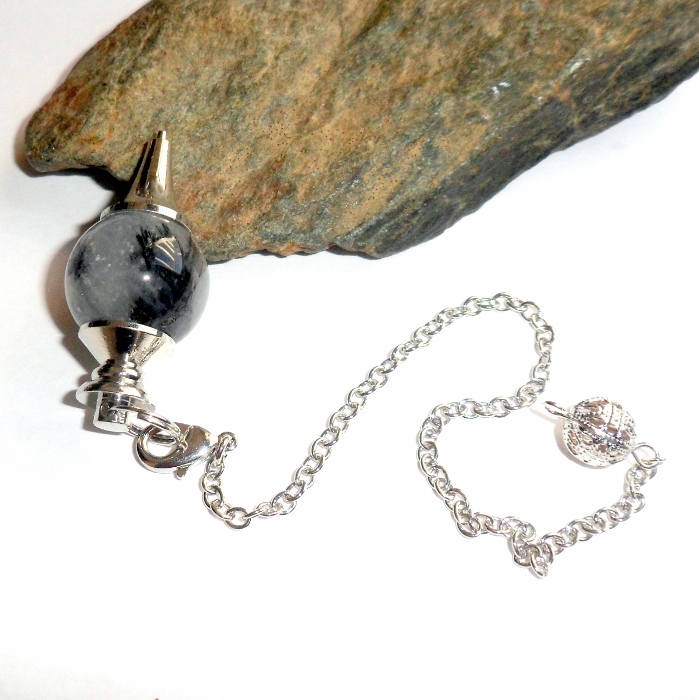 Quartz is a superb healing stone for any condition. Because of its crystal structure it is the most powerful energy amplifier on the planet. Tourmalinated quartz combines the properties of quartz and tourmaline. It is a grounding gemstone that fights environmental pollution, releases tension, and harmonizes all the chakras. 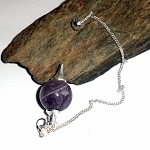 Gemstone pendulums can be used as a divination tool, or you can just throw a chain through the loop at the end and make a very cool necklace. Your options are only as limited as your imagination. Quartz crystal stone is 5/8 inch diameter. Total length approximately 9 inches. 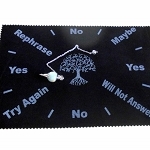 Price is for one pendulum. 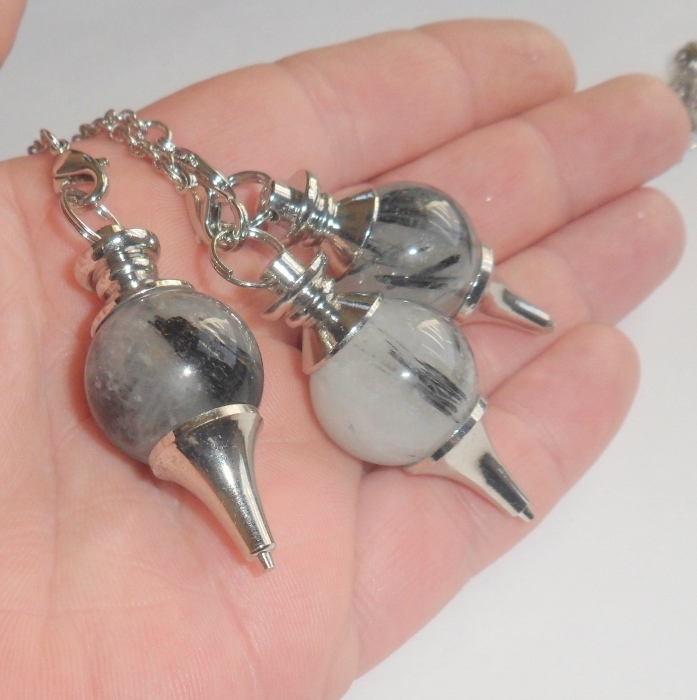 Sephoroton pendulums are highly sensitive to vibrations and their form and symmetry make them one of the most reliable and accurate pendulums.